If you own a home or an office then one of the biggest concerns is to have a clean environment. Just as you would clean your home, it is also important to have the HVAC systems cleaned regularly. The air ducts in buildings are the main pathways that help in the movement of warm and cool air through the building. This equipment has a regulator collecting the air from the room and either heating or cooling it to be sent back according to the designated temperature. If the ducts are not cleaned on time they will accumulate unwanted dirt that can be harmful in the air quality inside the room. Areas having excess amounts of humidity face problems of mold and if mold grows in the ducts then the person can face danger of serious health problems. Along with the quality of air, it also affects the quantity of air coming in. Clear air ducts also make sure there is smooth and efficient airflow that reduces the pressure on the HVAC system which reduces the electric bill. You must rely on professionals that have experience in this field as it requires technical expertise to clear the machine with precision. We at Elkhart carpet care will make sure you get the best professionals to clean your Air Ducts inside and out. Buildings having plastic ducts face huge problems as they become difficult to get rid of mold and eventually will need to be replaced.There are a number of contaminants that have the tendency of getting inside of the duct which affects the health of your family or coworkers. You should schedule an air duct cleaning from a professional cleaning agency and make sure that they make a visit on a regular basis. If you leave the duct in the hands of an amateur then you run a risk of facing a breakage in the air ducts. Make sure the professional visiting your home knows the process well. Experienced professionals make sure there is no adverse effect on the air duct and they do not break. The system durability is automatically improved with a regular cleaning. It is widely known that if there is not regular maintenance performed and the ducts are not cleaned frequently, it leads to system failure and the HVAC system will eventually stop working. It also reduces bad odor from rooms so if you face problems of bad odor and feel that you have cleaned all the visible materials properly, you should try checking the air ducts. 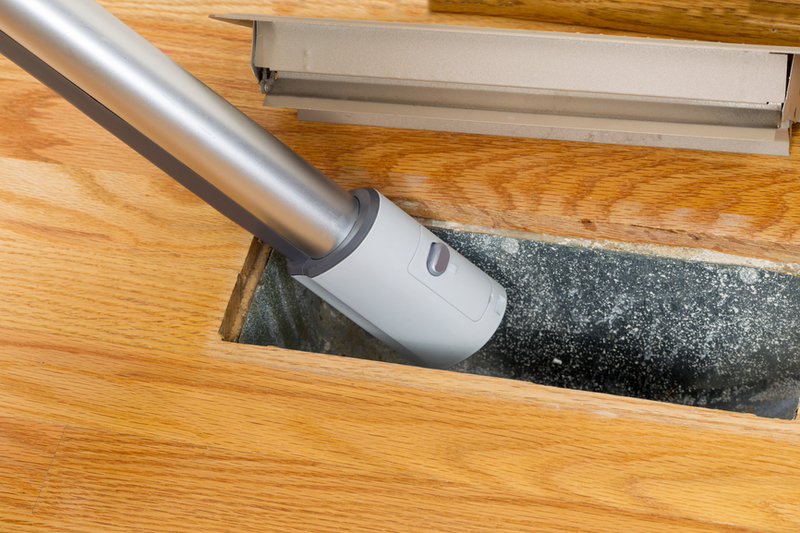 Dirty air ducts have a tendency to create bad odors affecting the comfort of living and also this is the best way to make your home or workplace cleaner and getting the room heated or cooled in a cost effective manner. It would also ensure the home is safe and there is considerable reduction in the utility bills of your house.